The southern reaches of the city, defined here generally as the portion of the city south of I-44, feature a broad cross section of the development of St. Louis. 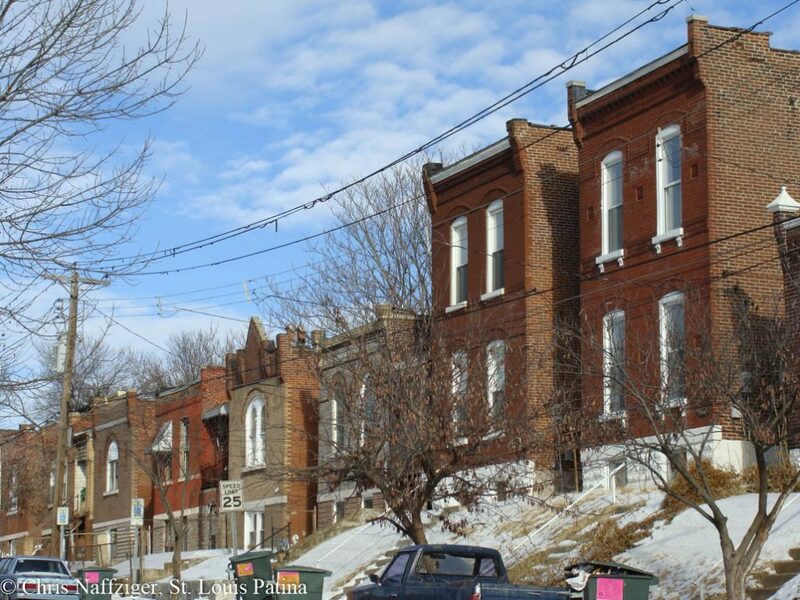 From the dense, early to late Nineteenth neighborhood of Soulard, to the mid-century suburban southwest of St. Louis Hills, South City is certainly the best preserved section of the city, and the portion with the greatest population. However, not everything is perfect in the south; east of Grand some of the densest neighborhoods are beginning to suffer from the same problems that North City neighborhoods faced fifty years ago. While the overall future of the area remains bright, careful stewardship of the built environment will still be critical in the coming decades. 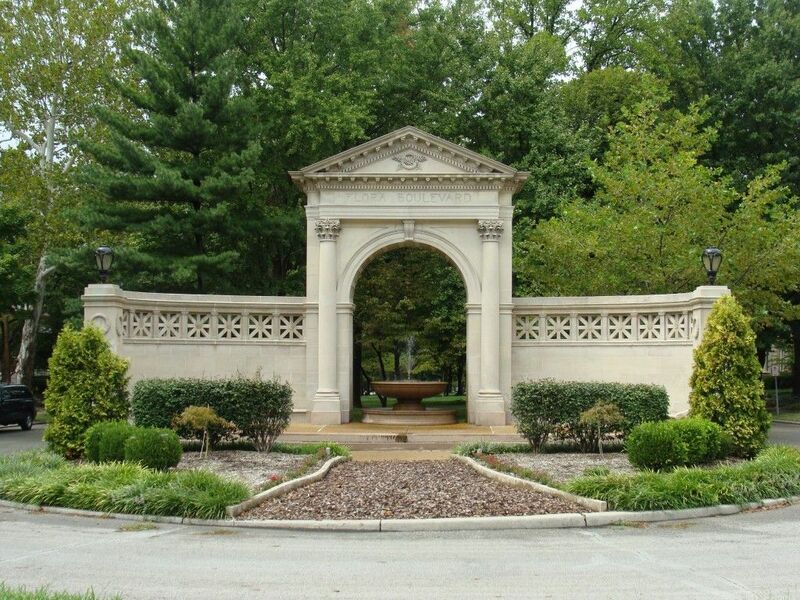 The vision of Henry Shaw, the great early St. Louis entrepreneur, Tower Grove Park and the Missouri Botanical Garden, historically known as Shaw’s Garden, rank as some of the most important acres of the horticultural world. Tower Grove Park, planned by Shaw in the mid-Nineteenth Century, preserves his plans for an arboretum punctuated by allees of trees and colorful pavilions. Shaw’s Garden ranks as one of the top botanical gardens in the world. Historic greenhouses sit near the great geodesic dome of the Climatron. Read about Tower Grove Park/Shaw’s Garden; see it on the map. The site of clay mines and the accompanying brick industry, The Hill is famous for being the center of Italian-American culture in St. Louis. While there are few mansions on The Hill, there is street after street of tidy shotgun houses interspersed with the iconic St. Ambrose Catholic Church and numerous famous restaurants. The Hill never declined like other parts of the city, and a stroll through the area can give the visitor an idea what dozens of other St. Louis neighborhoods were once like in their prime. Read about The Hill; see it on the map. The city originally expanded north and south from its original levee, and some of the oldest neighborhoods in the city once sat east of Broadway and Soulard. Urban renewal cleared the houses from the area in favor of an industrial park that never truly came to fruition. 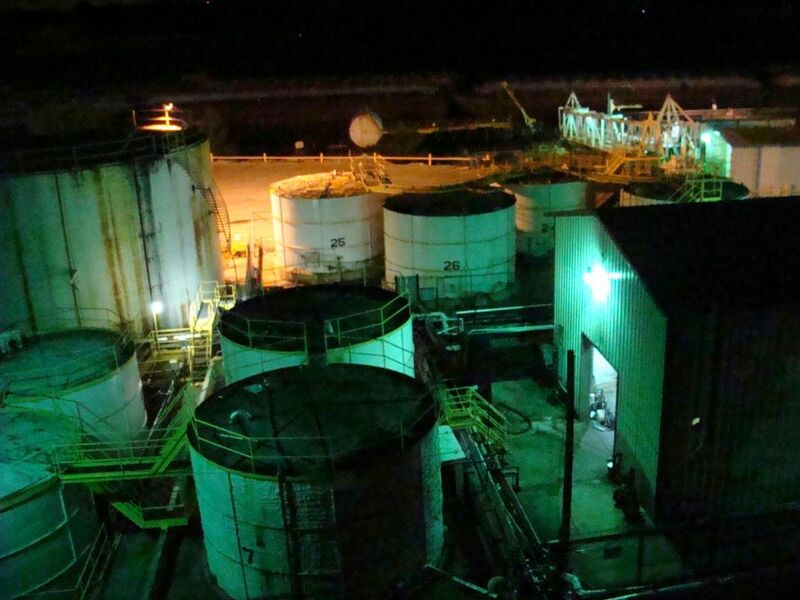 Nevertheless, there are many pockets of fascinating factories and warehouses in the area along the river that attest to the industrial might of the city. Read about the South Riverfront; see it on the map. Originally laid out as a streetcar suburb, Clifton Heights remains a unique neighborhood in St. Louis. There is a spectacular park with a lake laid out in a valley between the houses, which are wood frame, as opposed to the brick of most of the city. The rolling hills and winding streets give a totally different feel to the area compared to the brick-lined grid of most of the city. Read about Clifton Heights; see it on the map. The largest and most dense neighborhood east of Grand, Dutchtown’s name is most likely a corruption of Deutsch, which means German in the same language. It is a beautiful neighborhood, with rank after rank of stately brick buildings rolling up and down the hills, often with the watchful eyes of the twin towers of St. Anthony of Padua looking down from the summit of the hill on Meramec Street, the commercial strip of the neighborhood. 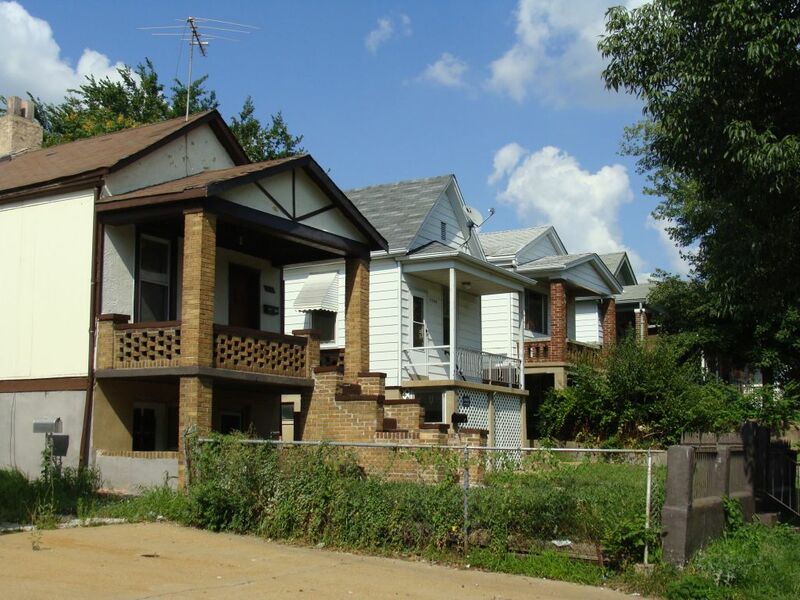 While facing many of the urban ills common in other parts of the city, the neighborhood is still densely populated, and must survive if the South Side is to remain healthy. Read about Dutchtown; see it on the map. Named after the Fox Lumber Company, whose lumberyard once occupied the park, Fox Park is an interesting neighborhood dichotomy. Along Russell Boulevard, stately rowhouses line the street, commanding high prices, while the southern portion features old warehouses and factories, and more humble housing. The great St. Francis de Sales dominates the area from its home on Gravois Avenue. 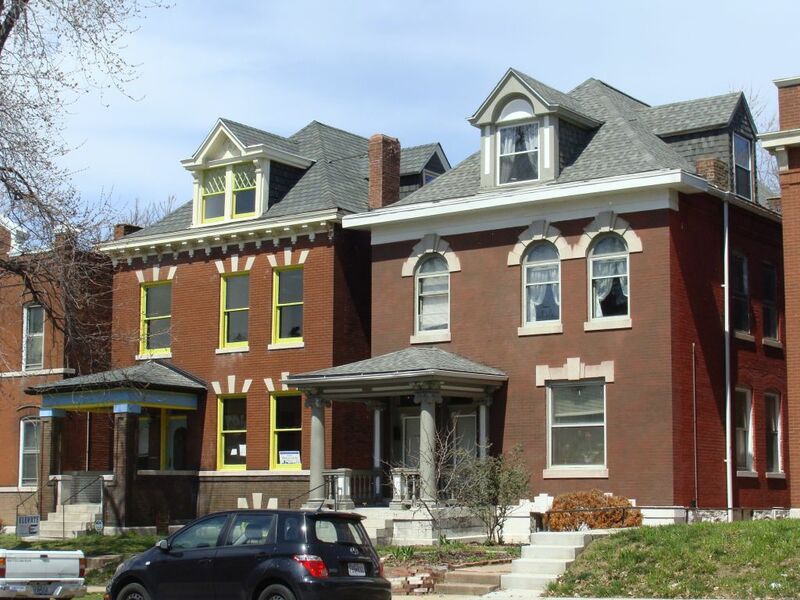 The neighborhood is an important link between the well-restored neighborhoods east of Jefferson and the Tower Grove area. Read about Fox Park; see it on the map. Named after the high school that sits in the middle of this triangle of land in between I-44, Jefferson and Gravois Avenues, McKinley Heights in many ways only exists as a neighborhood because it was cut off by the interstate from Lafayette Square. 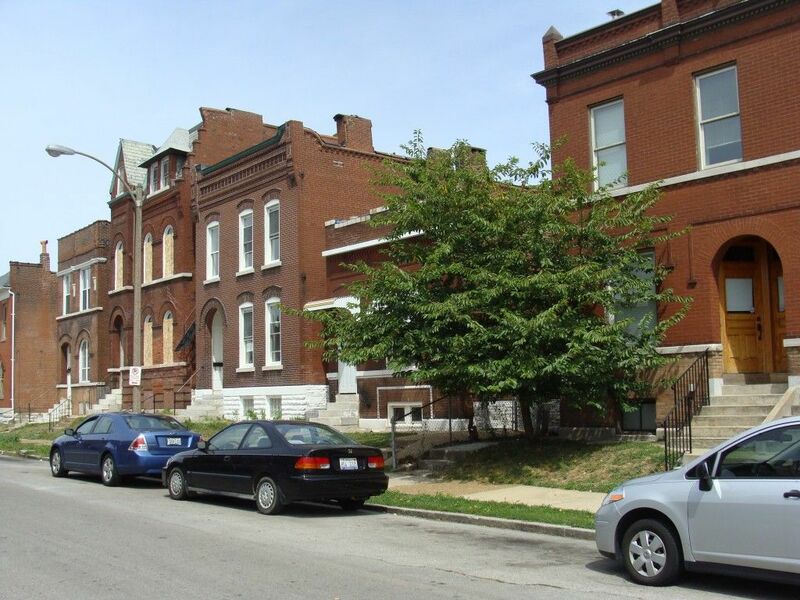 I considered cutting this neighborhood and lumping it in with Benton Park, but upon further examination, I felt the building stock, which is younger than its neighboring areas, is distinct enough that McKinley Heights has its own character. 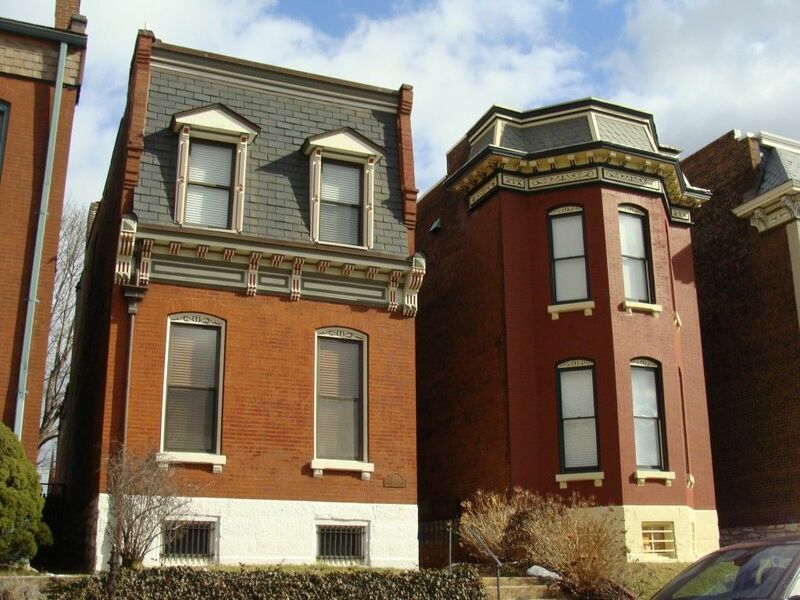 Read about McKinley Heights; see it on the map. 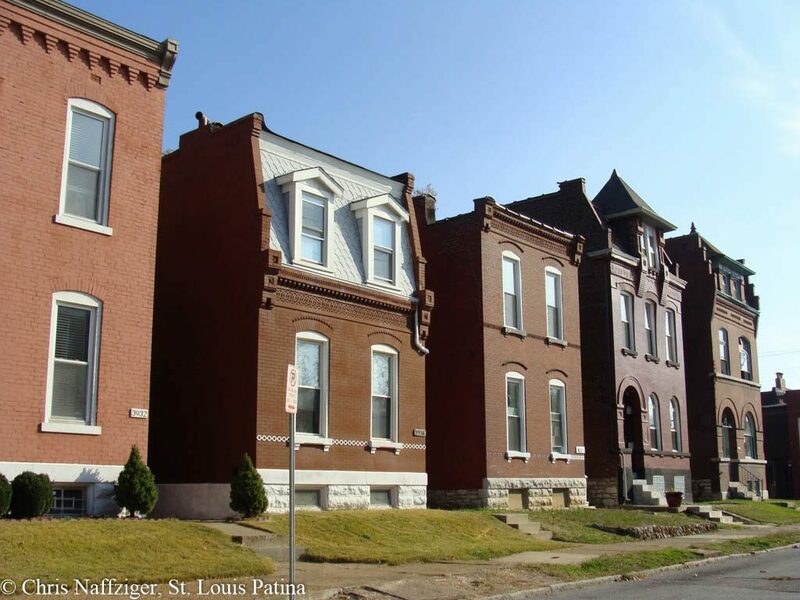 Perhaps the most famous “urban” neighborhood in St. Louis, Soulard is in fact an incredibly beautiful and intact quarter of the city, showing us what could have been saved in other inner neighborhoods ringing downtown. Largely built out by the late Nineteenth Century, by no means was Soulard safe, and it was almost cleared for urban renewal. 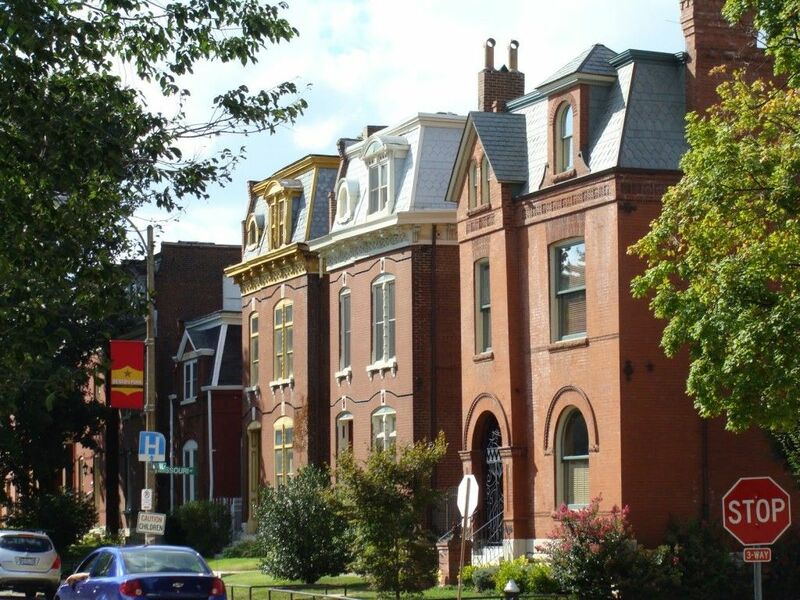 Rehabilitation starting in the 1970’s, what could have been lost was saved, and now Soulard shows how charming and liveable a dense city can be. Read about Soulard; see it on the map. It might be humorous to many that Benton Park was once considered the “suburbs” because it was less dense than the inner neighborhoods of the city. Restored in the last decade, Benton Park has continued on the success of the rehabilitation of Soulard, which is right across I-55. 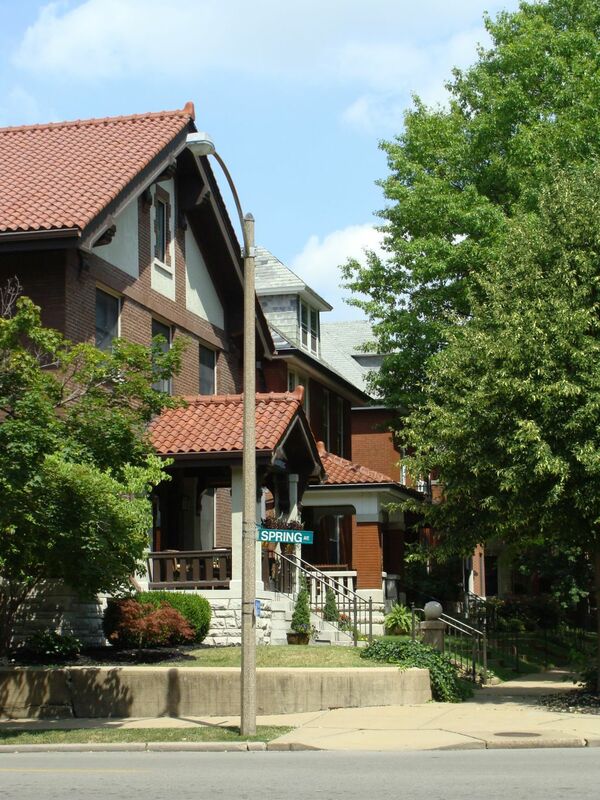 Anchored by the stunning park in the middle of the neighborhood, Benton Park shows the beauty of the oldest areas of the city inside Jefferson Avenue. Read about Benton Park; see it on the map. Henry Shaw had always intended to design the residential neighborhoods around his garden and park, and the Shaw neighborhood, nestled into the area northeast of Shaw’s Garden was laid out by the businessman turned horticulturist himself. The rigid street grid is lined with stately brick homes on the major streets, and smaller but still large houses on the side streets. The centerpiece of the neighborhood is Flora Boulevard, with its grand gates facing Grand Boulevard, and Shaw Place, where Shaw designed a small village of homes reminiscent of his native England. Read about Shaw; see it on the map. Cracking a hole in the street grid just east of Grand Boulevard, the Julius Pitzman-designed Compton Heights features winding, broad drives with large mansions sitting back from the street at a contractual distance, prefiguring the suburbs of the second half of the Twentieth Century. Compton Heights never went into decline, and some of the houses are still owned by their original families. Every style of architecture imaginable is represented, and it perhaps one of the most beautiful neighborhoods in the world. Read about Compton Heights; see it on the map. 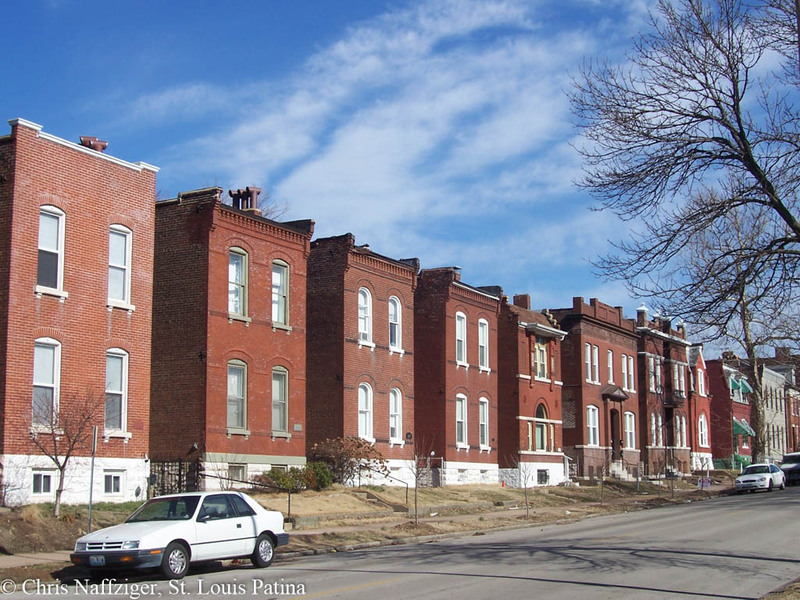 Laid out in the 1920’s and following decades, the Holly Hills neighborhood shows a St. Louis that was growing up; red brick no longer reigns supreme, and more streets are dominated by single family houses in architectural styles first coming into popularity. Likewise, while the area was served by streetcars, Holly Hills shows the signs of a neighborhood increasingly built originally as an auto-centric environment. Carondelet Park sits in the middle of the neighborhood, which is on the old Carondelet Common Fields. Read about Holly Hills; see it on the map. St. Louis Hills is one specific neighborhood in the southwestern portion of the city, but it often times is used to refer to a much larger area. 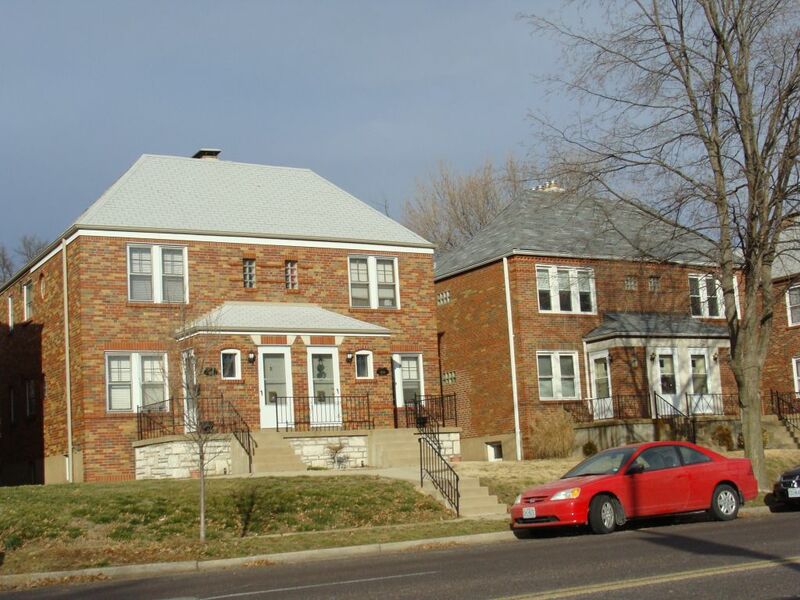 St. Louis Hills is dominated by rolling hills and houses in the Gingerbread and Modernist styles. Built in the years after World War II, the completion of the neighborhood marked the final urbanization of empty land in the city. The tree-lined streets full of well-preserved houses with low crime fetch commanding prices, higher than much of St. Louis County. Read about St. Louis Hills; see it on the map. 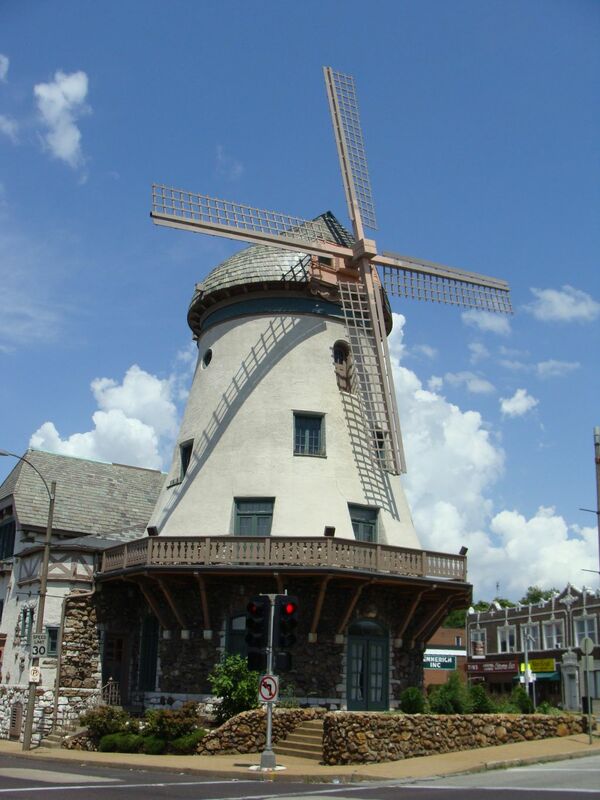 Gravois Park is originally what was referred to as northern Dutchtown, but it is now considered its own separate neighborhood. For the purposes of this site, I consider it to be the blocks surrounding the eponymous park. Devastated by gang activity, the area is fighting to turn around decades of crime that would once have been unthinkable, as the neighborhood was famous for its large number of police who lived in the area. 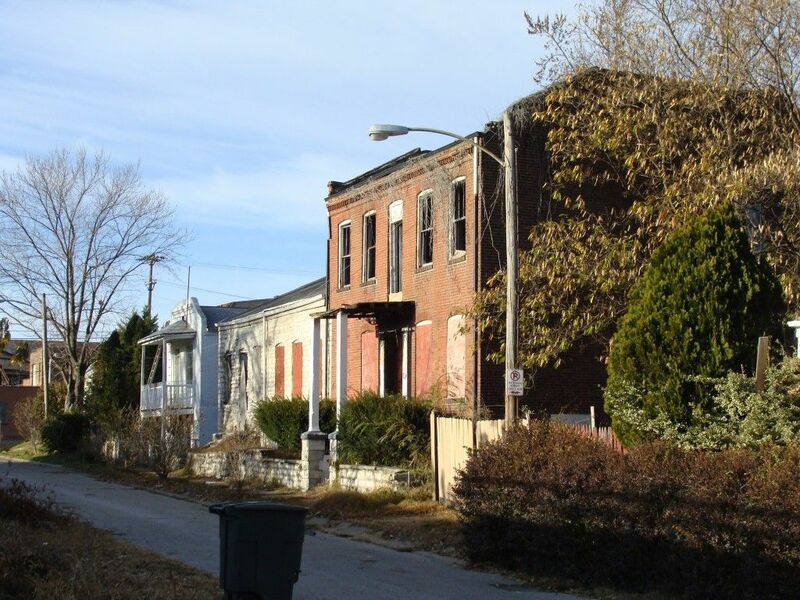 Encompassing the western edge of Cherokee Street, its rows of hardy brick buildings still show hope for improvement. Read about Gravois Park; see it on the map. 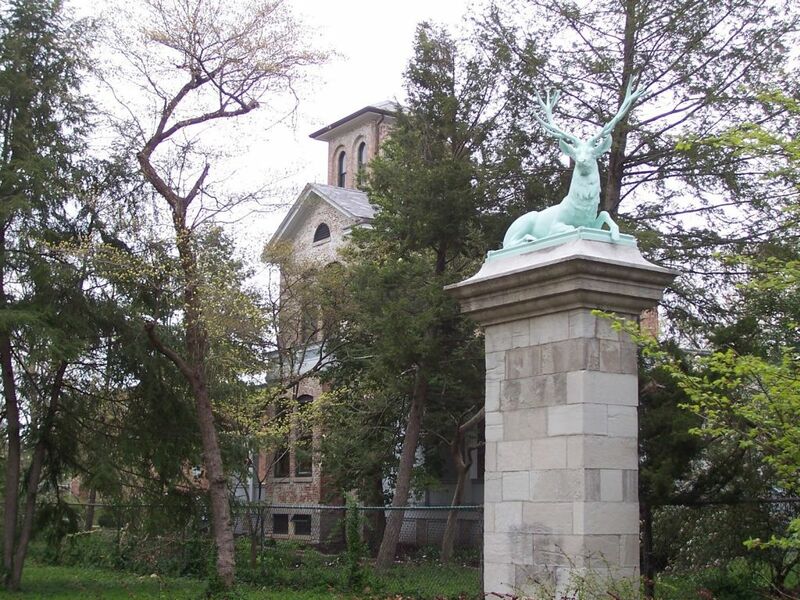 A small, relatively isolated neighborhood south of Benton Park and dominated by Broadway, I suspect Marine Villa received its name due to a marine corps hospital that once existed in the area. The neighborhood is overshadowed by I-55, and the housing stock is a surprising mix of numerous architectural styles. Read about Marine Villa; see it on the map. The poorly named Benton Park West was originally built as a streetcar suburb, and lies west of Jefferson Avenue from Benton Park. 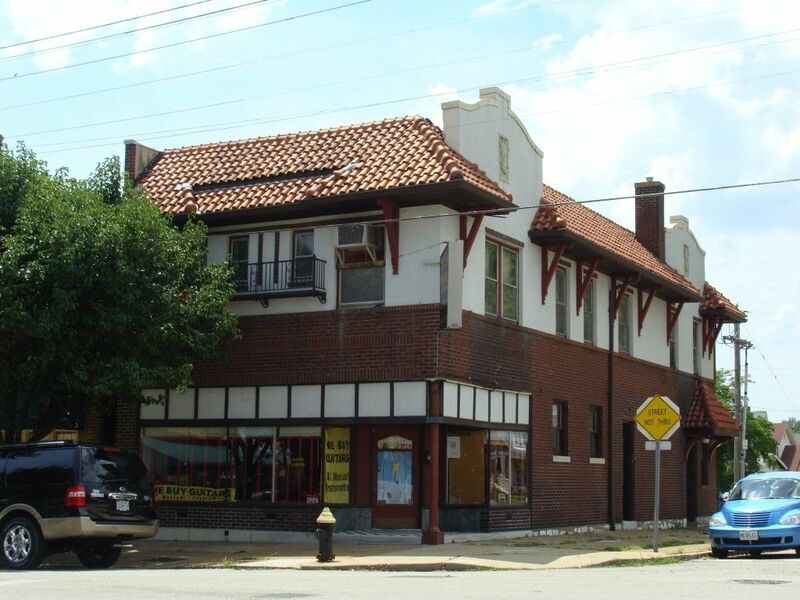 It was also, along with Gravois Park, part of northern Dutchtown, and its commercial strip along Cherokee Street was one of the busiest parts of the city, served by a streetcar line. While abandoned buildings have spread across the neighborhood, increased rehabilitation of houses has begun, building off of the revitalization of its commercial core. Read about Benton Park West; see it on the map. Once literally its own town, Carondelet was annexed into the city in the post-Civil War boom in the 1870’s; the neighborhood still fees like its own separate town with its own personality. Separated from the rest of the Southside by I-55, it possesses many of the oldest houses in the city from before the Civil War. Industry still churns along the river, and the area is proudly resolute in maintaining its character. Mansions line Michigan Avenue, while old storefronts flank both sides of Broadway. Read about Carondelet; see it on the map. Laid out primarily in the first decades of the Twentieth Century on old farm fields dotted with mansions, Tower Grove East provided suburban housing along the street car lines just then coming out from the central city. 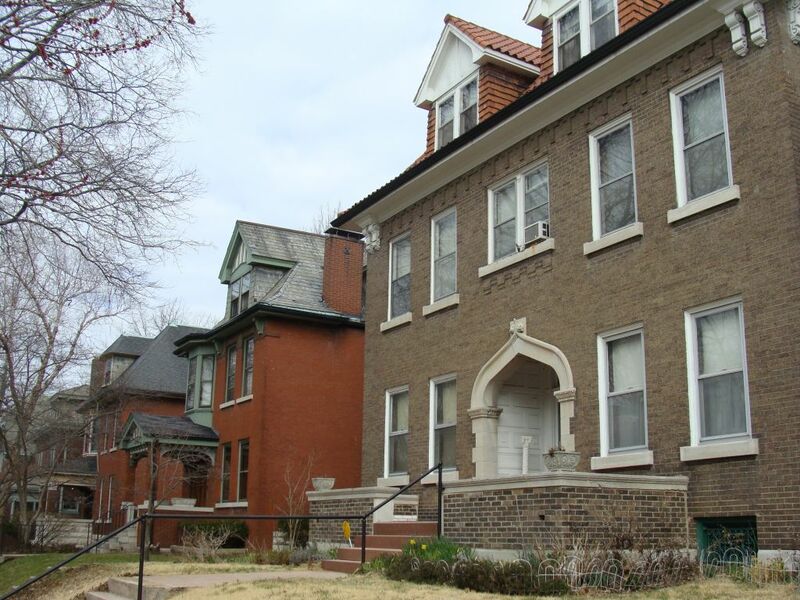 While the neighborhood has beautiful schools such as Roosevelt High School and the eastern side of the burgeoning South Grand business district, its long rows of solid brick homes are the stars of the area. 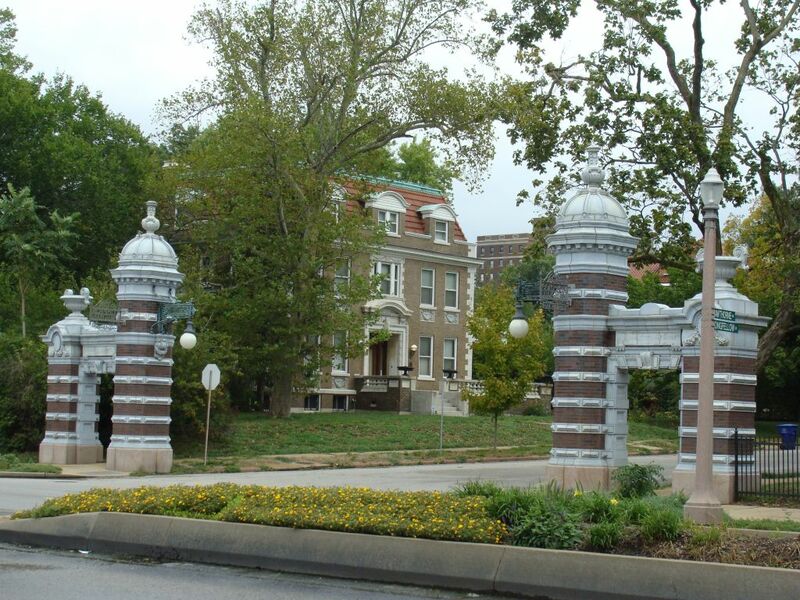 Read about Tower Grove East; see it on the map. 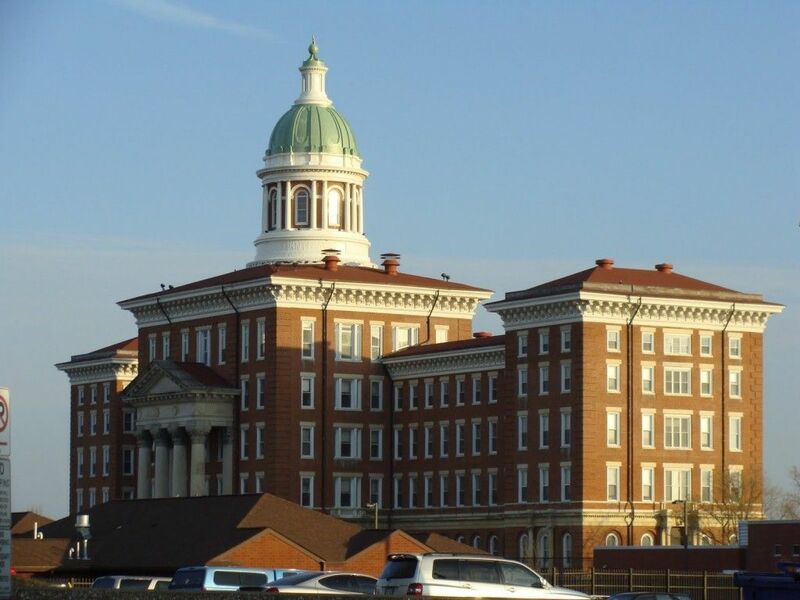 A large swath of land west of Kingshighway and east of Hampton, this area was largely rural until the mid-Twentieth Century, except for some public institutions such as the St. Louis County Lunatic Asylum, itself a landmark seen throughout the neighborhood and the entire city. Read about Kingshighway Southwest; see it on the map. Located on the southern side of Tower Grove Park, Tower Grove South really consists of two distinct areas: the early Twentieth Century houses of Tower Grove Heights on the blocks just south of the park, and the later additions to the neighborhood on the dramatically rolling hills southwest of the Heights. 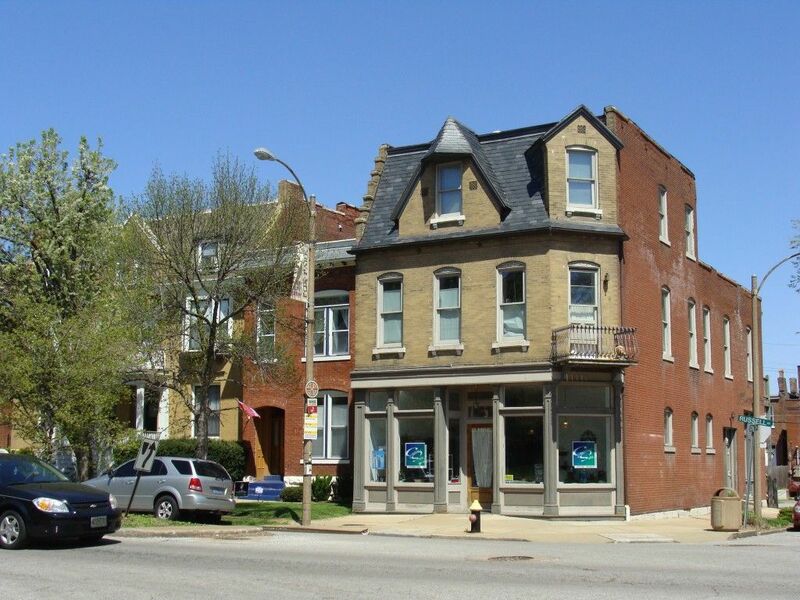 Anchored by the South Grand business district with its numerous ethnic restaurants, and the more old-school commercial strip along Morganford, Tower Grove South is one of the most stable neighborhoods in the city east of Kingshighway. Read about Tower Grove South; see it on the map. Laid out in an often irregular grid atypical for St. Louis, Bevo takes its identity from the Bevo Mill restaurant at the crossroads of the neighborhood’s most important arteries, Morganford and Gravois. 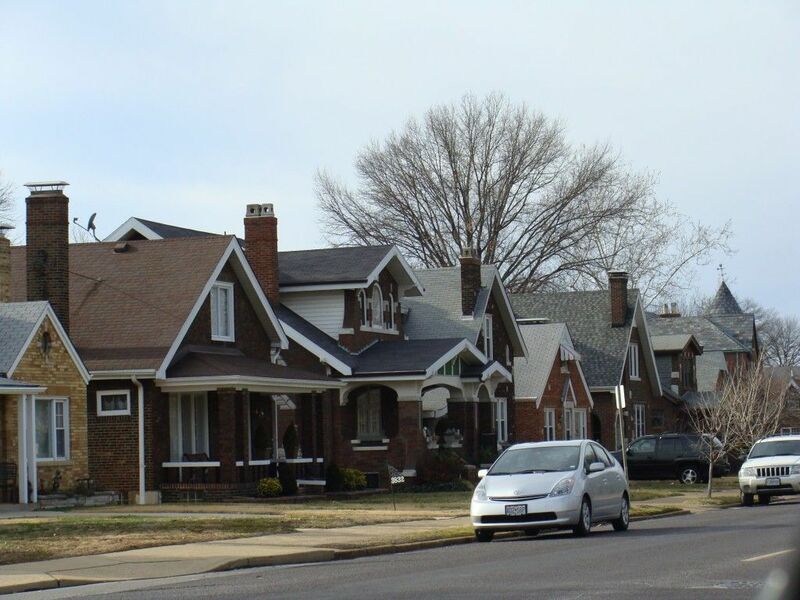 The areas has a wide variety of housing stock from many decades, since Gravois had always been a major thoroughfare through the southwest portion of the city. Now it has been resurrected by an influx of Bosnian immigrants, who have saved what had been a rapidly fading corner of the city. Read about Bevo; see it on the map. 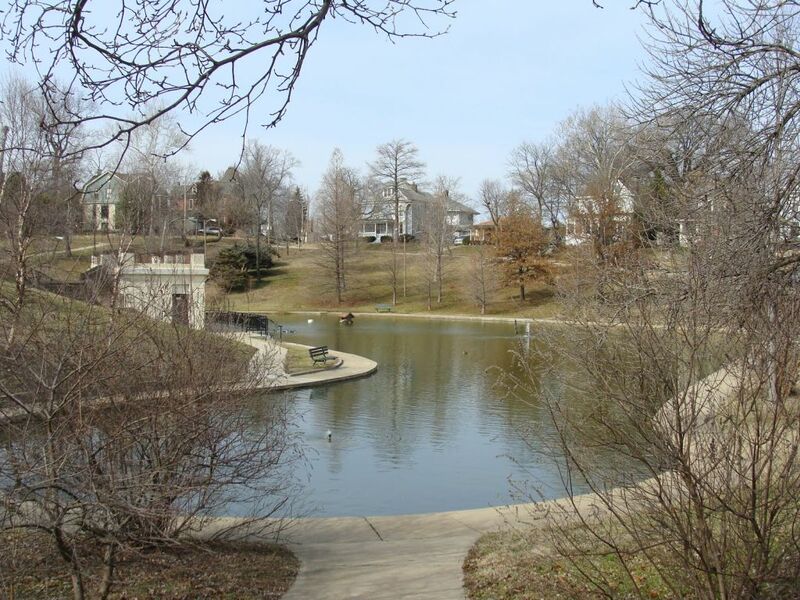 Located in the far south by southwest realm of the city, Lindenwood Park sits up on hills overlooking the River des Peres valley to the north. 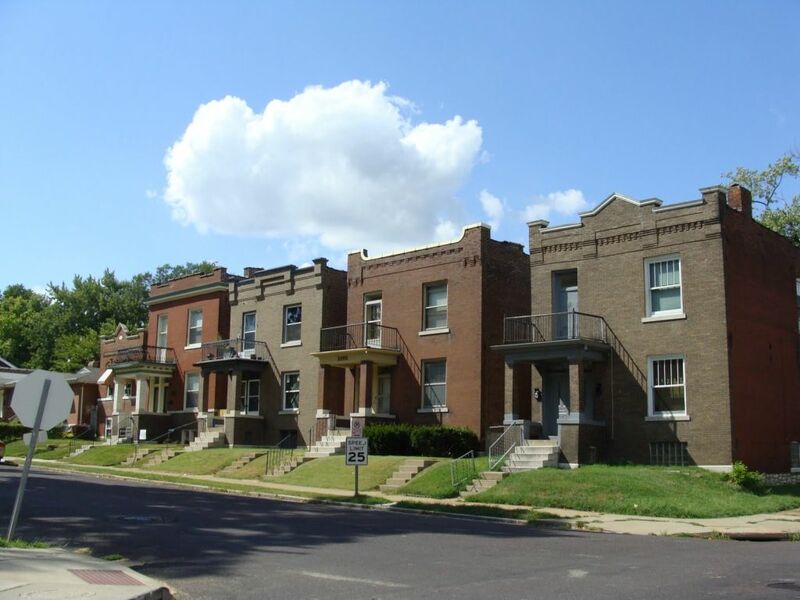 Later buffeted by I-44, Lindenwood Park features rows of houses sitting on quiet streets, with an occasional row of businesses along streets such as Ivanhoe Avenue. Read about Lindenwood Park; see it on the map. I stumbled into your page. I am an Architect who lives in the city and have always been fascinated by its architecture and appalled by its decline. Your work is impressive and those who love the city should be aware of it. I have also just stumbled across your site, after wandering through central St Louis via Google streetviews. The buildings and infrastructure seem to be incredibly well preserved. Not to be too crass but I daydream of a brick victorian fixer upper for under 200k. I hope you all enjoy your wonderful urban fabric! We have nothing like it out here in Seattle. Ted, you can get one for under 50K here, or even less! Just wanted to join in the love, Chris. What SLP is doing for the city and its citizens is so important, so vital to its continued health. You lot! Don’t stop! Give it all you got! I often drive thru my old north St.Louis neighborhoods and feel so sad at what I see. Just wish these areas could be the way they once were. I dearly love St.Louis! Love the blog! We are working on revitalization in an old church in Carondelet, St. Trinity Lutheran. Interesting simple neo gothic built in 1872. Church was founded in 1859 and is doing things to help stabilize the neighborhood. We have lots of patina at St. Trinity, by the way! Ah, I think I know that church, Alan. Would love to see it. Great blog. We have just started a rehab project on Russell in Shaw. Enjoyed your perspective of the area. We our searching the web for guidance on what type of front doors to use. We will be purchasing 4 of them. love st. louis; love this. I’m from South St. Louis and love seeing your photos. Please let me know of new posts by email. Thanks. Awesome blog! Really highlights the different architecture throughout my hometown. Thanks for taking the time to do this. Have you checked out Mt. Sinai Cemetery off of Gravois? Will Levy, a St. Louis architect designed some of the mausoleums. There are some very impressive St. Louisians buried there. I will have to do that! St. Ambrose Church and School are a strong glue. “Kerry Patch” in Near North St. Louis lost population betrween WW! and WWII. Many did move to Dogtown, but that mix has been changing in recent years (many of my relatives lived there). “Chinatown” was lost when Busch II was built. What Chris wrote about St. Ambrose is certainly correct.